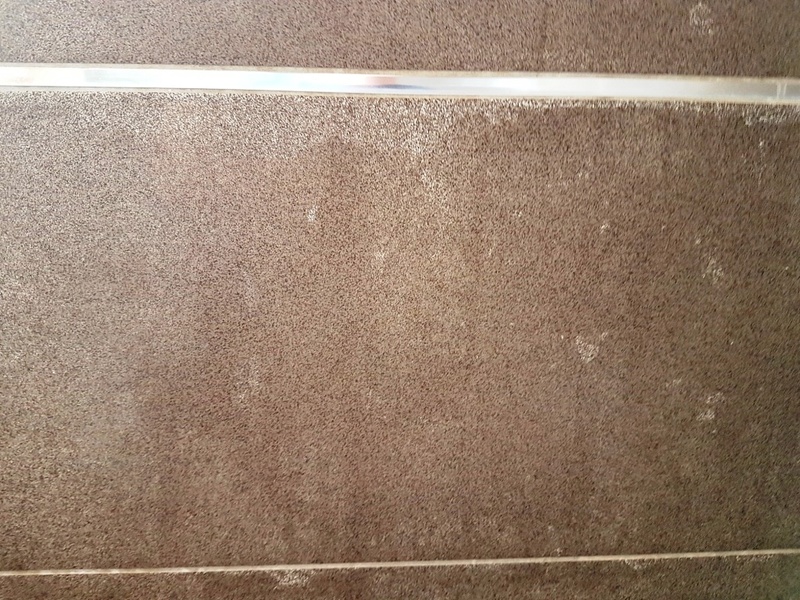 These pictures show very fine textured porcelain tiles that had been installed in a shower cubicle at a property in Leeds that did not have the grout cleaned off properly. It’s worth knowing that we cover the whole city of Leeds which has one of the most diverse economies in the UK and is known as its second biggest legal and financial centre after London. On arrival it was clear where the problem lay. 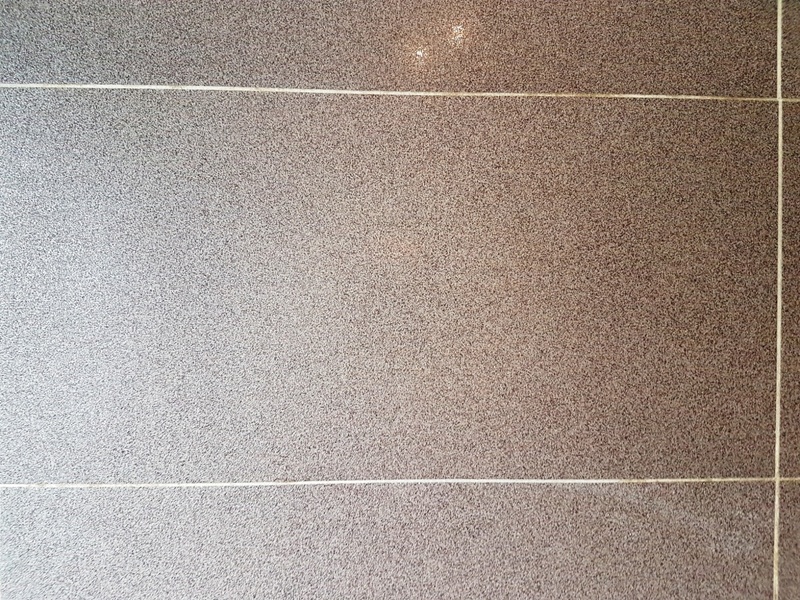 Unfortunately, the tiler who had installed the tiles had not been very diligent in removing the excess grout afterwards leaving it to dry on the surface where it had become stuck in the surface of the textured tile. 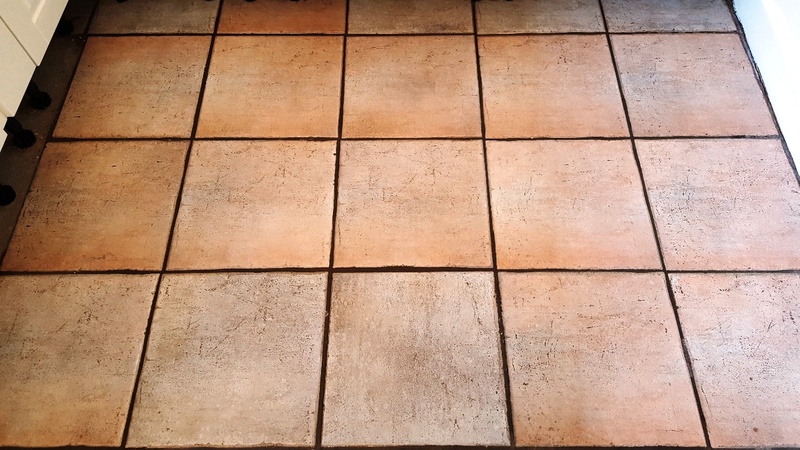 This is a problem commonly referred to as Grout Haze, the tiles are literally smeared in grout and once it has set no amount of household cleaner will remove the residue. 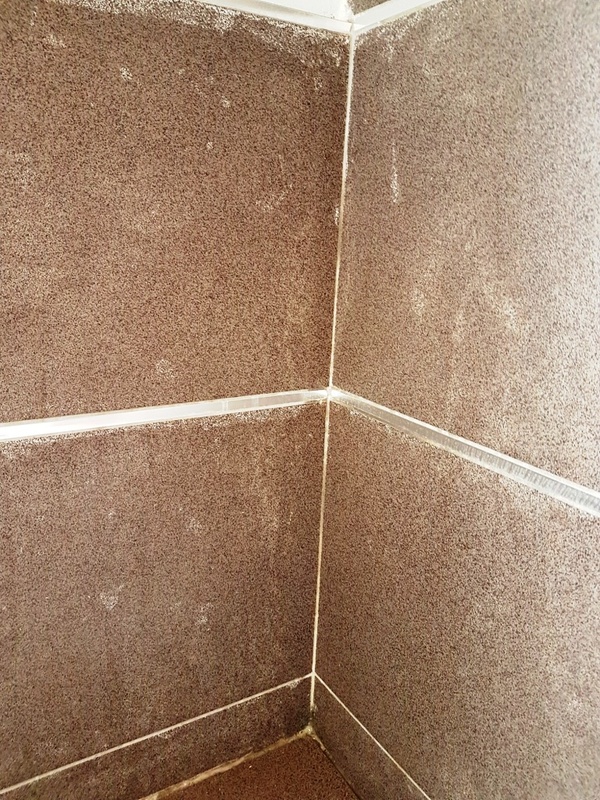 To add to the problem the situation with the grout haze had not been resolved after installation in-fact it had been fitted a few years prior and a build-up of soap scum and stains from the dyes in shampoo products had made the shower cubicle look worse. 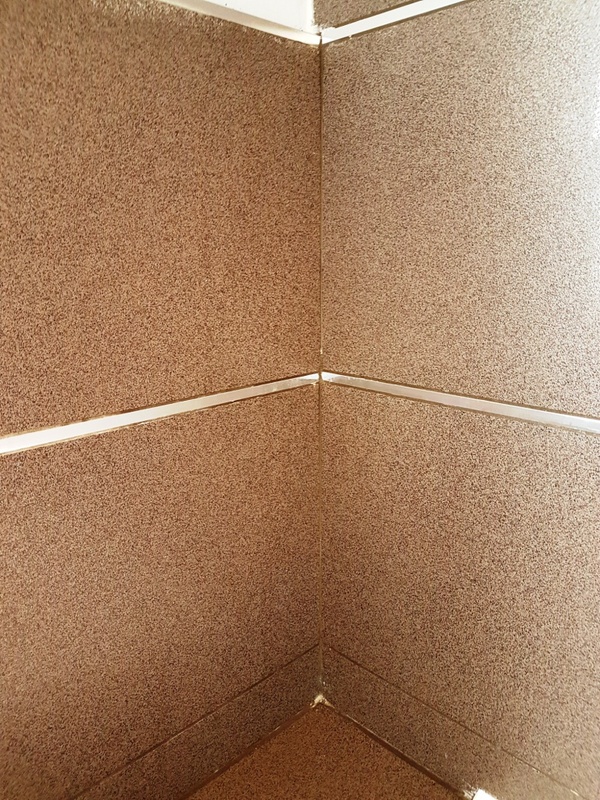 Tile Doctors have a solution for every problem and I knew exactly how to remove the grout smearing and revamp the whole shower cubicle. Confident I could get them cleaned up in less than a day we agreed a price and booked the work in to be done. 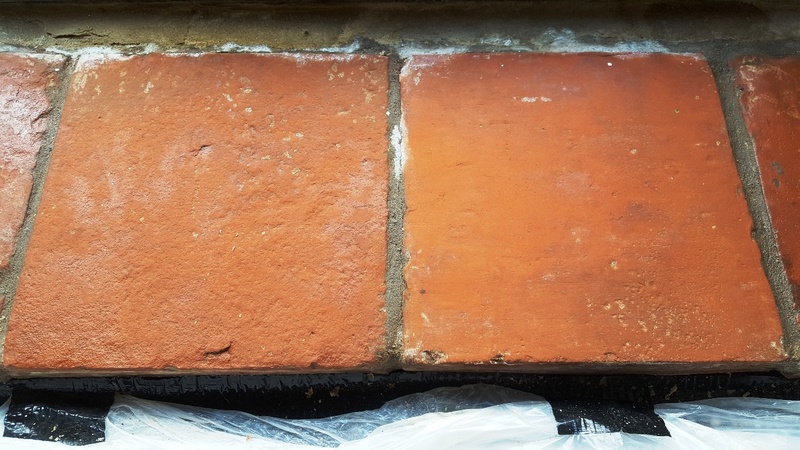 Before tackling the Grout Haze, I needed to clean the tile and grout, so I started with an application of Tile Doctor Oxy-Gel which being a gel sticks well to vertical surfaces such as wall tiles allowing it dwell longer and really breakdown the dirt. I worked on one square metre at a time leaving it to dwell for ten minutes and then scrubbed in with a scouring pad. The area is quite small, so it was easiest to do the work by hand rather than using the rotary hand buffer. The area was then rinsed thoroughly to remove the soil and any remaining product. Next while the tile was still wet l applied Tile Doctor Grout Clean-up to tackle the grout smears. 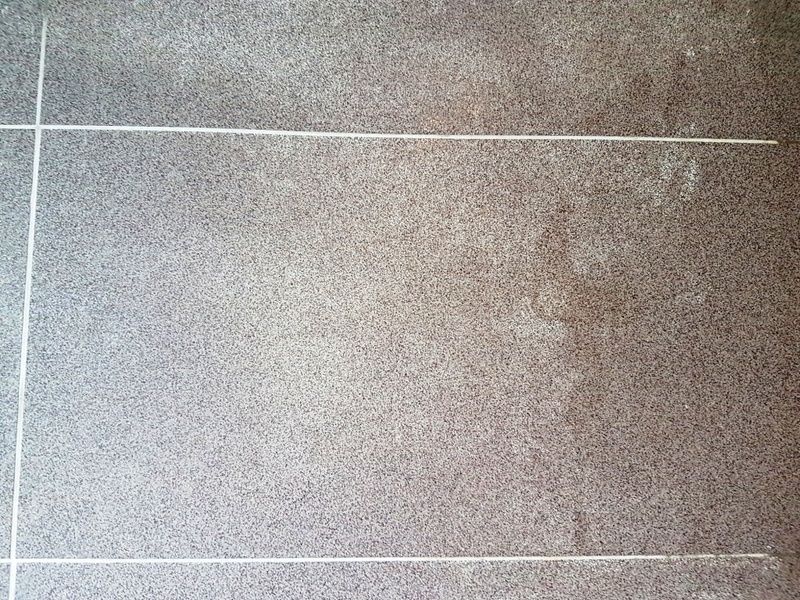 Grout Clean-up is an acid, so you do need to be careful however it is the only thing that will remove grout once it’s dried, also I wouldn’t recommend using it on natural stone as it can etch the surface however these tiles were Porcelain. 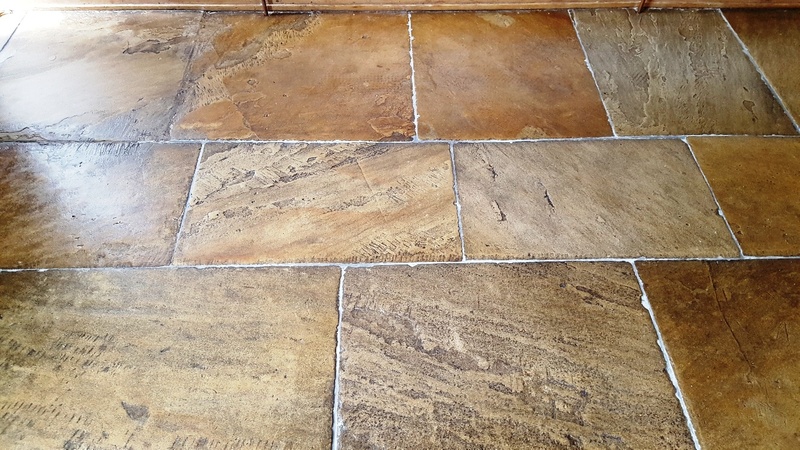 The process worked well although some tiles needed to be re-treated to get rid of all the smears. I rinsed again with water and then dried with a heat gun to make sure no marks or stains came back when completely dry. 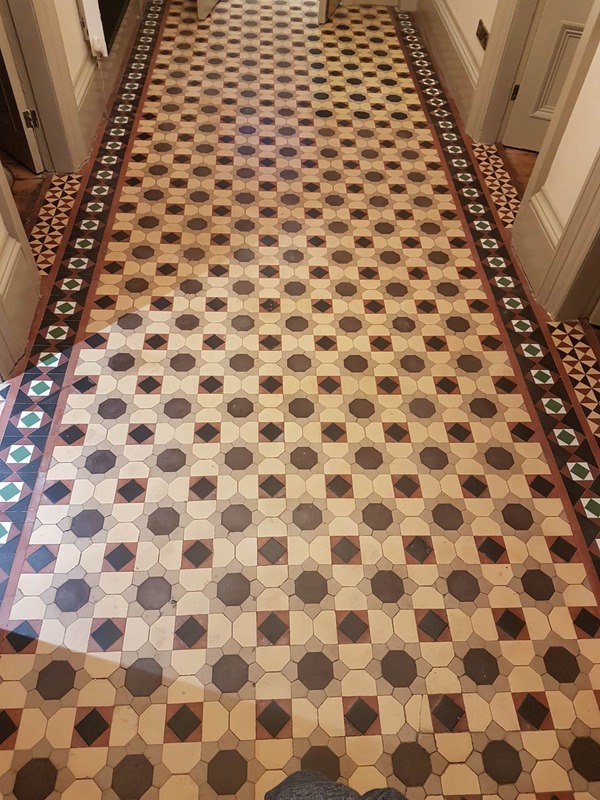 Happy that the tiles and grout were now as clean as possible, and the area was fully dried out, all that remained was to strip out the old stained silicone sealer and replace with new. We do have a product called Duo-Clean that can clean up silicone but my preference in this case was to strip out the old with a sharp knife and replace with new. I find this really adds to the renovation of the cubicle completing the transformation. It also ensures the cubicle is left waterproof and less likely to have a leak develop in the old silicone in future. It is amazing the difference the clean-up made. The client now has the shower cubicle they had hoped for and are happy to use every day, they were very pleased with the results. 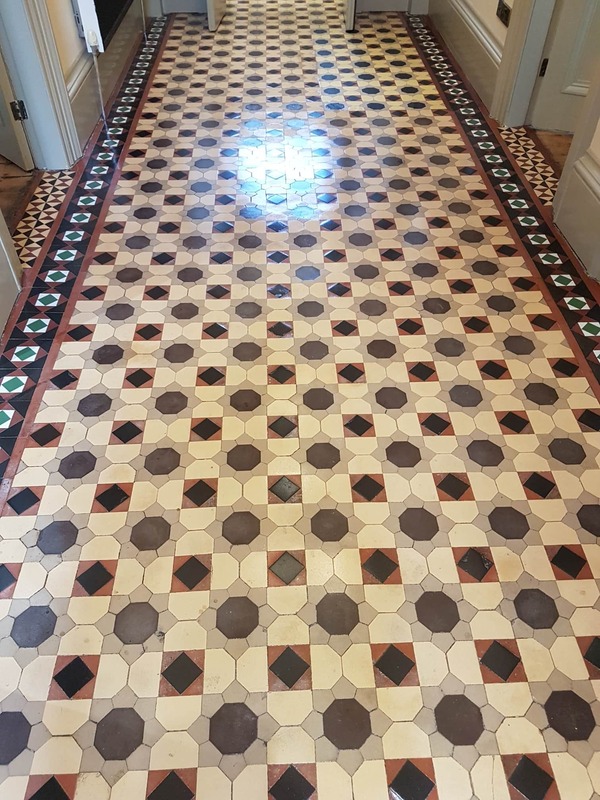 Details below of a Victorian Tiled Hallway Floor that I deep cleaned and sealed at a house in Leeds. It has previously been covered in carpet which had been removed before I got there. 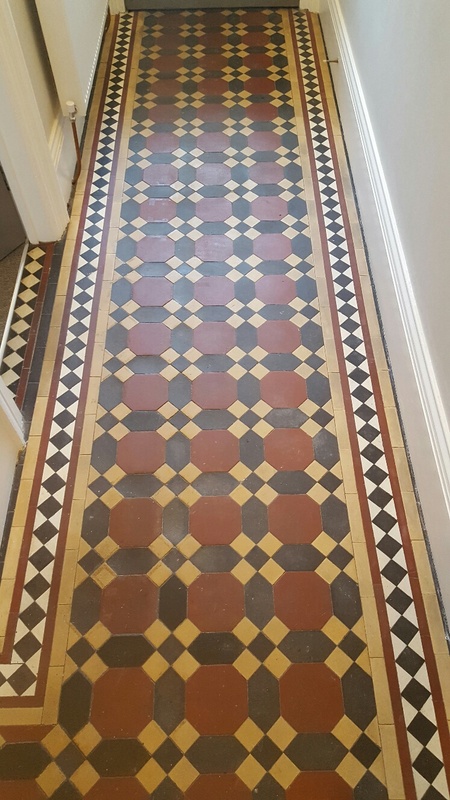 The tiles were in good physical condition, just looking dull and there were traces of paint spots and glue residue from double sided tape that had held down the carpet. Worse of all there an imprint had bleed into the tiles from under lay that must have been damp. 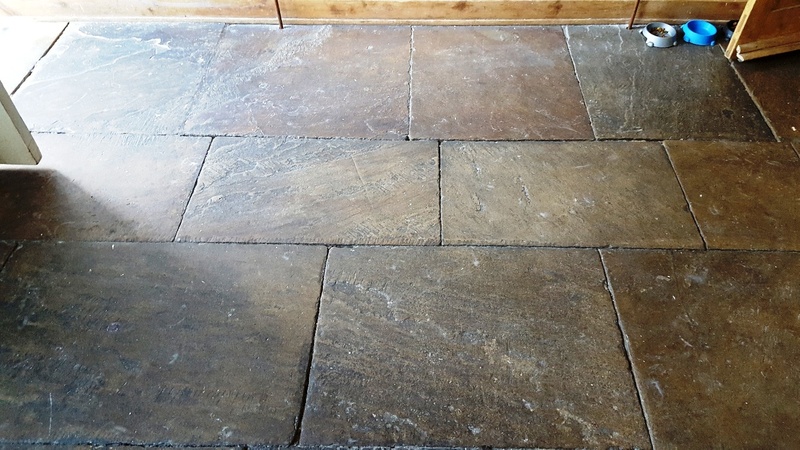 Dampness can be a problem for these old floors which were laid before the invention of damp proof membranes. 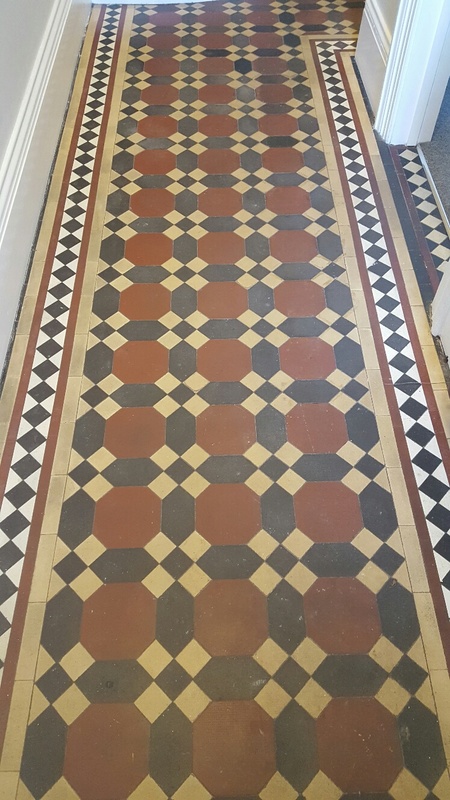 Normally I use a series of Tile Doctor chemical products to deep clean Victorian tiles however I felt this would not deal with the imprint. Therefore on this occasion I started with the application of a coarse 200 grit diamond pad fitted to a weighted rotary machine and lubricated with a little water. The pads can struggle to reach into the edges and corners so to get those clean I used a 200 grit hand held block. 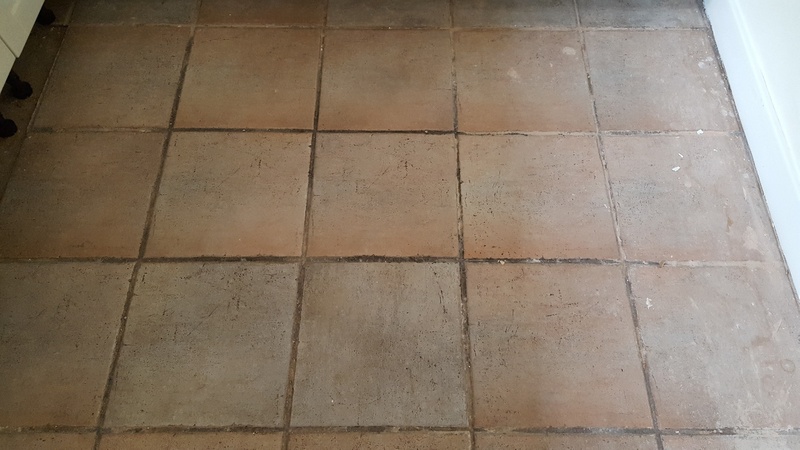 This removed the imprint, paint spots and glue residue and I was then able to lift the ingrained dirt out of the floor by applying a dilution of Tile Doctor Pro-Clean. The Pro-Clean was left to soak into the floor for a good ten minutes before working it in with a black scrubbing pad. 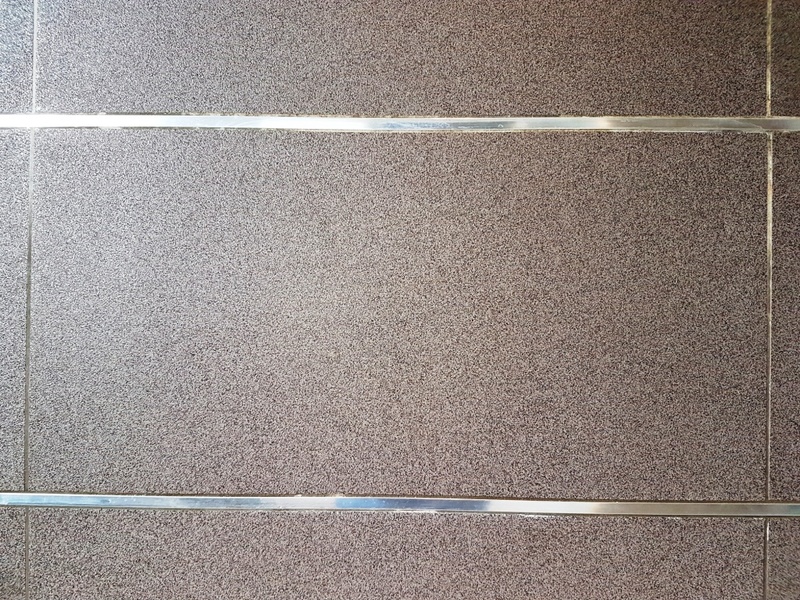 I extracted the soiled cleaning solution using a wet vacuum and then gave the floor a rinse with water, again using the wet vacuum to remove as much moisture as possible. 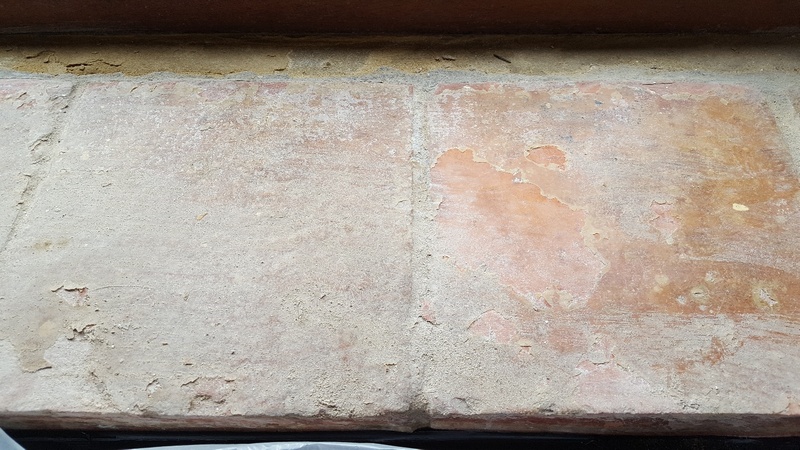 The result of my cleaning efforts was excellent with 95% of the marks now removed and just a faint imprint left on a few tiles. I left the floor to dry overnight and was able to return the next day, checked the moisture levels using a damp meter and then proceeded to seal the floor. 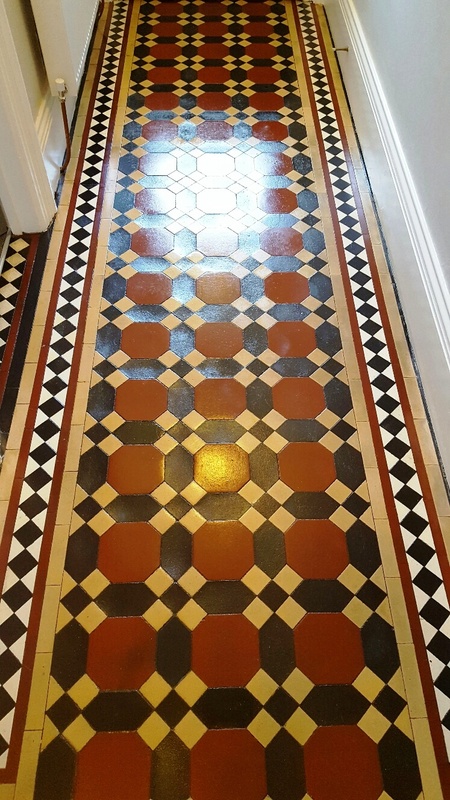 To seal I applied four coats of Tile Doctor Seal and Go which adds a lovely satin finish that really lifted the look of the Victorian floor tiles. 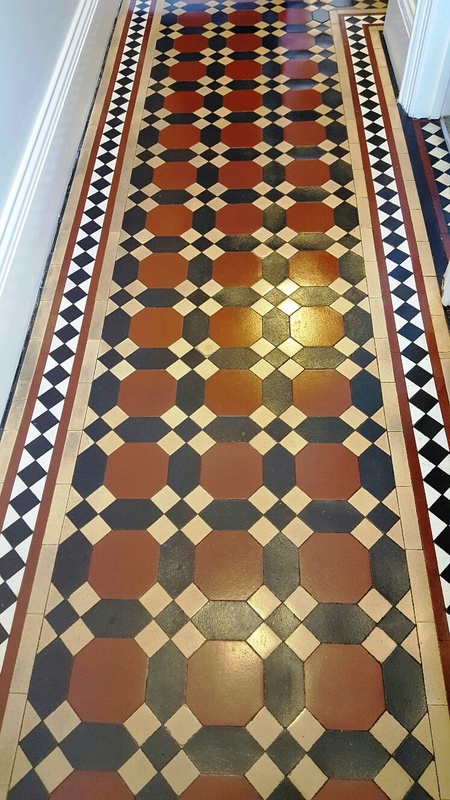 Needless to say the customer was delighted with the finish and difference.